Oranges, tangerines, grapefruit, lemons or limes? 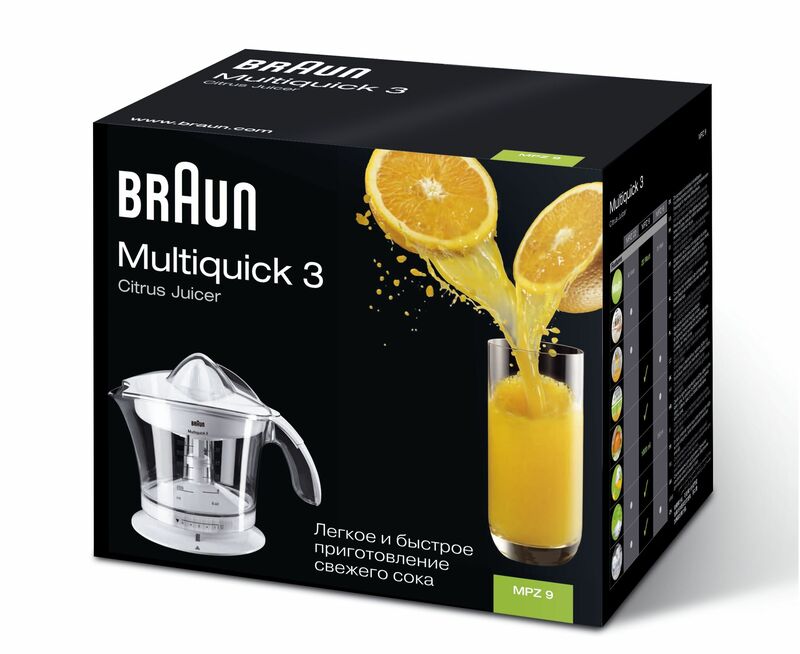 The Braun Citromatic turns them into a vitamin-rich juice in seconds - pressed directly into your glass (MPZ 22) and with as much or little pulp as you prefer (MPZ 9). 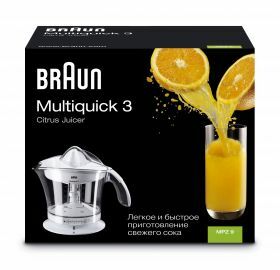 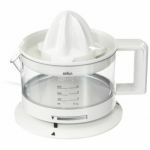 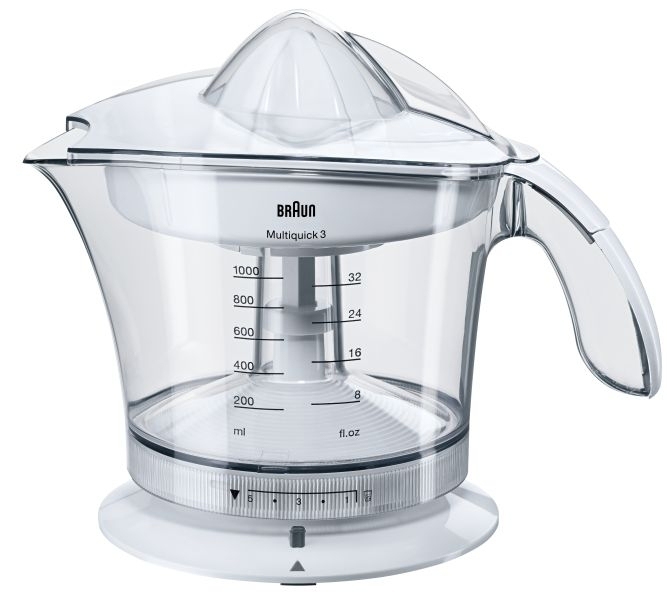 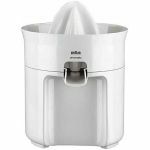 Braun offers two versions: From the Multiquick 5 Citrus Juicer de luxe with direct juice flow. 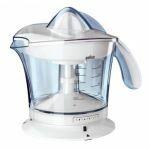 The MPZ 9 has a press cone which alternately turns left and right for especially thorough juice extraction. 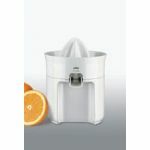 By turning the juice container at its base, the opening where the pulp is held back are widened or narrowed. 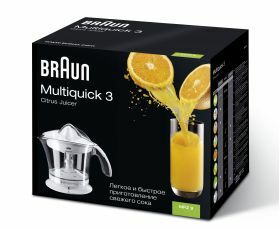 So be it from oranges, mandarins, grapefruits, lemons or limes, one can choose the exact amount of pulp in your juice, for children at breakfast or for cocktails in the evening.